My former extremely-picky-eating self would’ve shuddered at the idea of eating anything with cheese on it. Pizza crust & sauce, sure. But pizza with cheese?! Not a chance! And to think of a crust made of cauliflower?! Bahahahaha!! 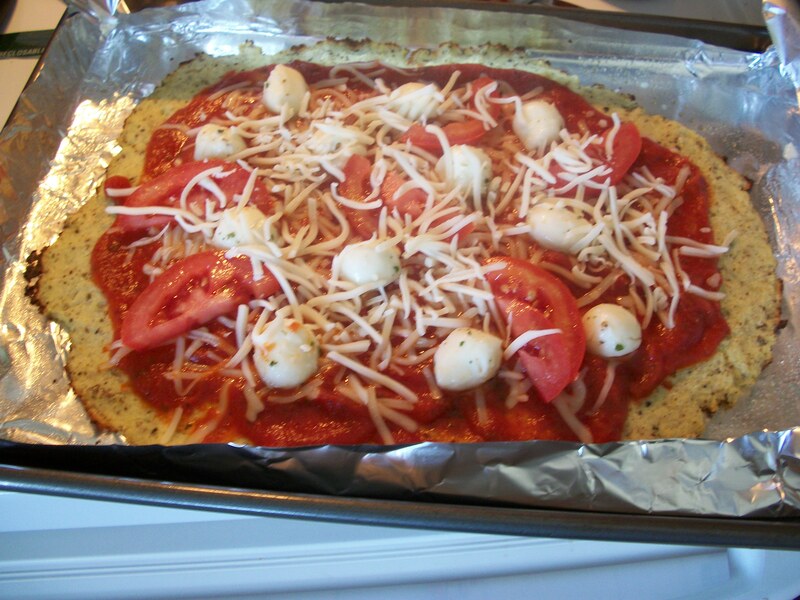 I would’ve laughed my way right to the cupboard for yet another bowl of Peanut Butter Crunch & watched with a wrinkled nose as any crazy people dared eat cauliflower crust pizza WITH CHEESE! Okay, I suppose you’ll want a few more directions than that. Here ya go! 1. 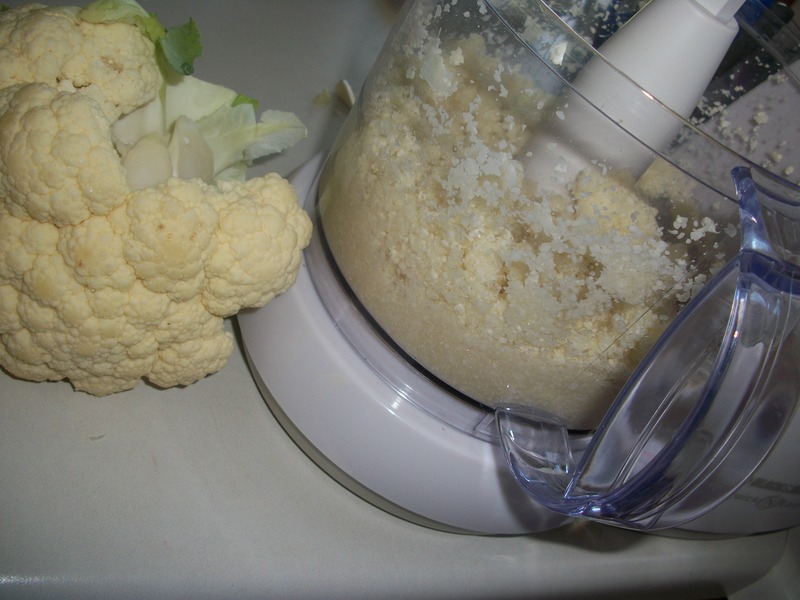 Place cauliflower & garlic in food processor & blend until finely chopped. You just need it crumbly, not smooth and paste-like. 2. 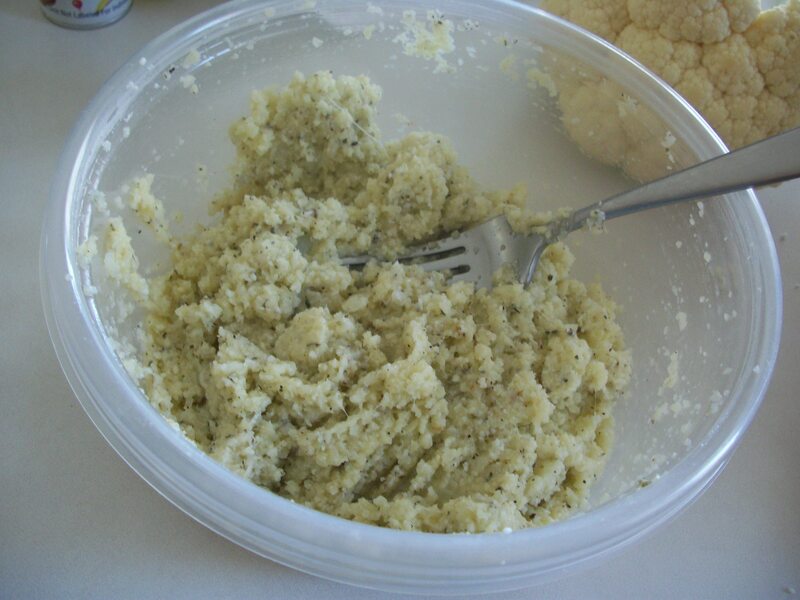 Place crumbled cauliflower & garlic in microwave safe bowl. Microwave on high for 5-7 minutes. Watch closely between 6 & 7 minutes. Microwaves do vary & I’ve yet to find the perfect amount of time in mine. 7 is too much (slightly burnt cauliflower) & 5 is too little (a tad watery). Your goal is to remove the excess moisture without “cooking” the cauliflower. 3. Add egg, cheese, & seasonings to cauliflower. Mix well. 4. 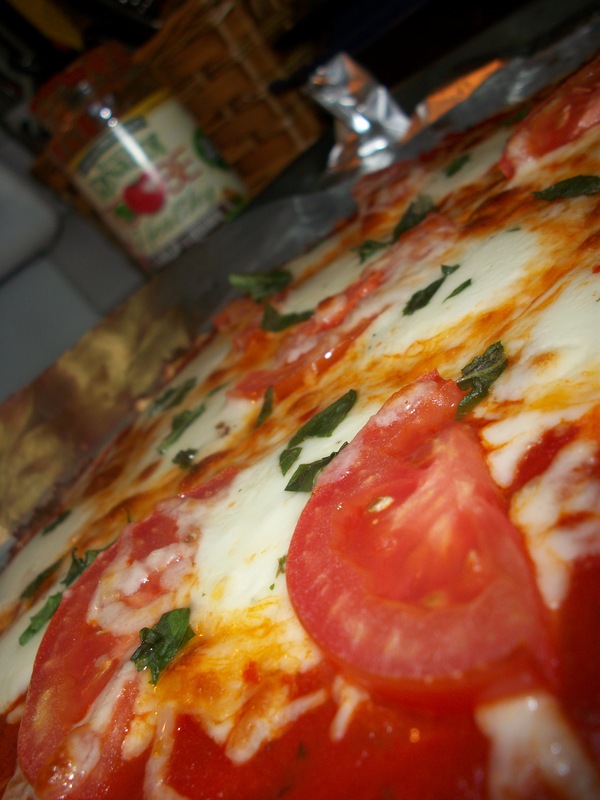 Pat mixture in “crust” on a pizza pan or baking sheet, sprayed liberally with cooking spray. 5. 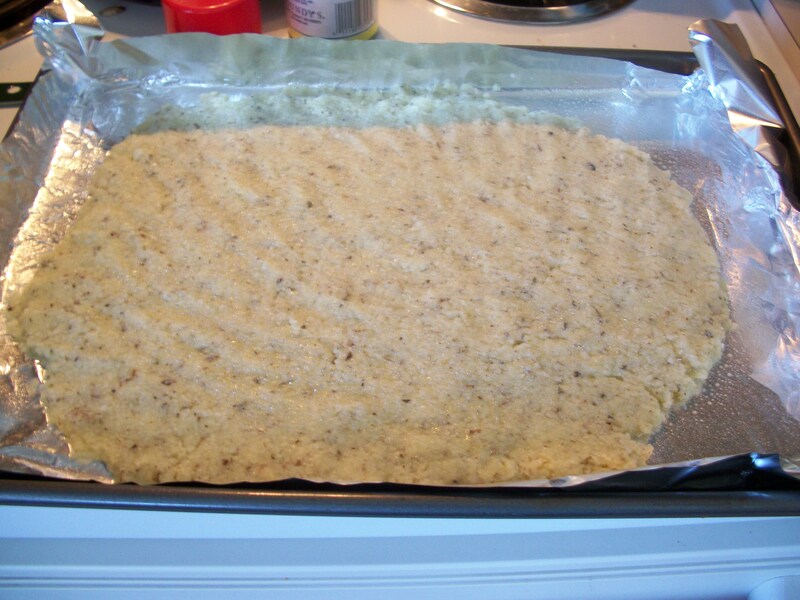 Place crust in oven preheated to 450 degrees. Bake for 15 minutes or until golden brown. 6. 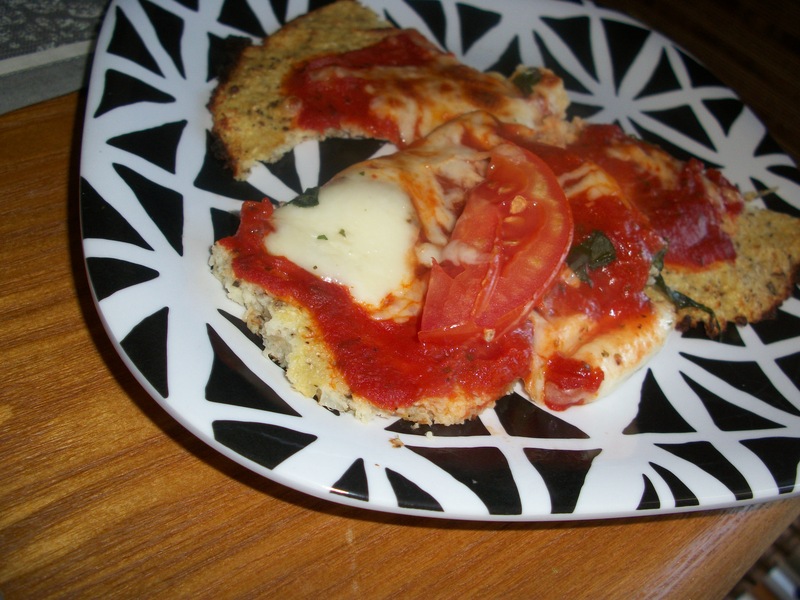 Remove pizza & turn oven to broil. 7. Add desired toppings. Place pizza back in oven. Broil for 5 minutes or until cheese is melted. Obviously you can add whatever toppings you’d like but this crust is honestly good. No, it’s not a hot dog stuffed pizza crust but I bet you’ll feel much better after eating it than if you were to eat that hot dog crust. P.S. I’m not a picky eater anymore but I still hate hot dogs. 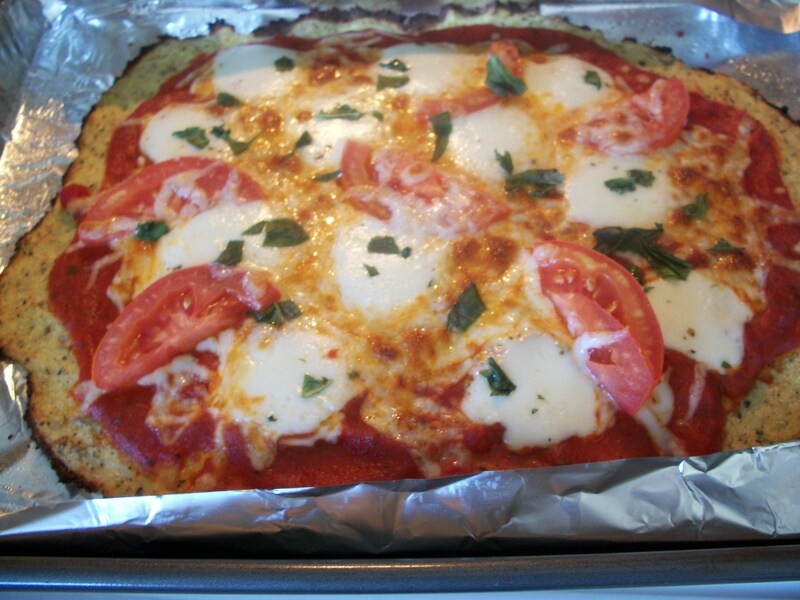 i heart cauliflower crust pizza….my husband hates cauliflower and he LOVES this pizza…. Previous Post Eggs & Waffles & Coffee…Oh, My!